Number One with a Bulleit! The Revolver is a cocktail recipe designed by the mixologists at San Francisco’s Bourbon & Branch, a speakeasy kind of a joint. You’ll note the ingredients and think that I’ve gone MAD for even suggesting that you make this cocktail. But trust me, it works. Now, what goes into a revolver? Bullets! So what goes into The Revolver? 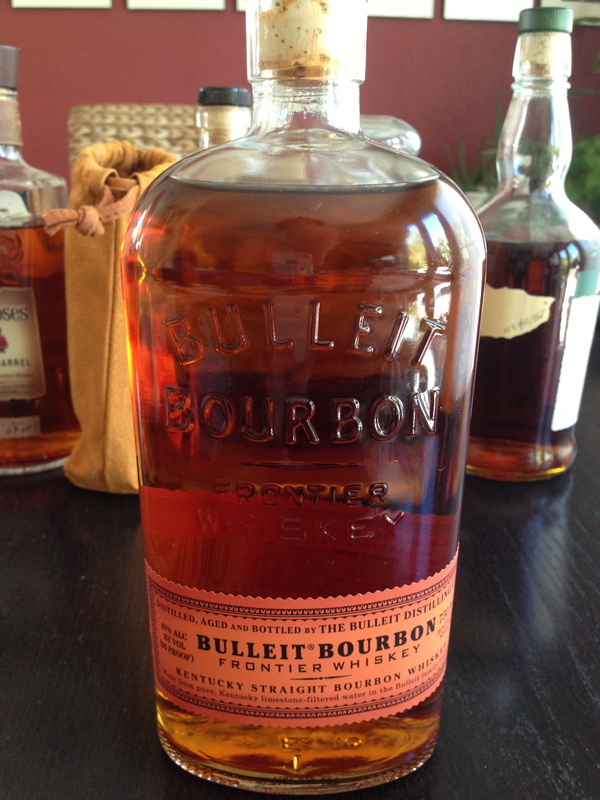 Bulleit Bourbon! Don’t substitute any bourbon in this recipe if at all possible. But if you must sub in, please use Buffalo Trace. Add ice to a Boston Shaker. Add all the ingredients except the garnish. Shake until your hands feel like they’re going to freeze off. Strain the drink into a chilled cocktail (martini) glass. Hello. The site is the “Chateau” theme, set to “dark” with a few minor tweaks by me. WordPress makes it all easy!